Fat LossFOURPLUS 4+ CLA+ - 100 kaps. FOURPLUS 4+ CLA+ - 100 kaps. The supplement, which has a positive effect on the weight loss process, strengthens the immune system, fights free radicals and helps alleviate the "orange peel" cellulite! The high dose of CLA per serving! Bet on the quality! FOURPLUS 4+ CLA+ - 200 kaps. 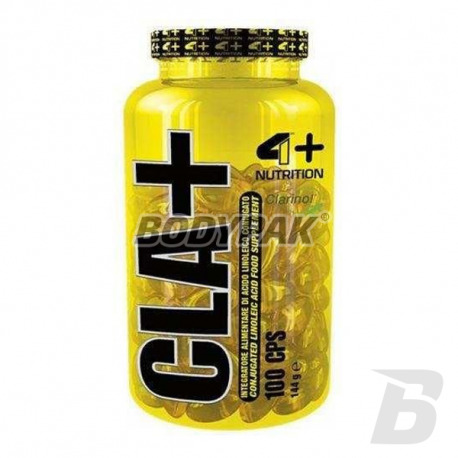 NUTRITION 4+ + CLA has conjugated linoleic acid - modified fatty acid is present in small amounts in food. That is why it is preferable to incorporate it into the daily diet in the form of a dietary supplement. 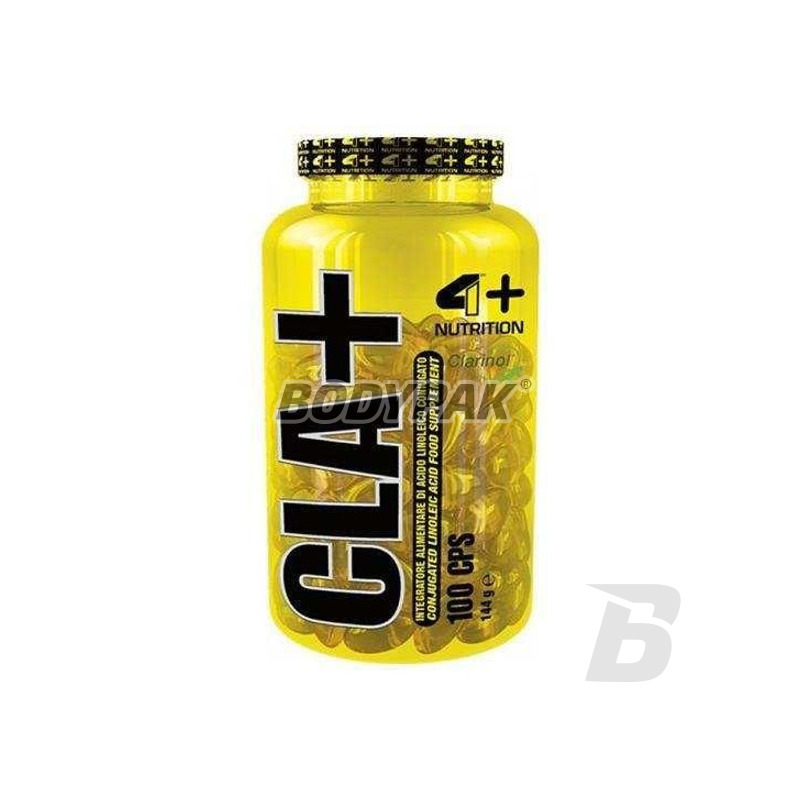 The use of CLA in the form helps to reduce body fat (inhibits the formation and growth of fat cells), improves vitality, and increases the body's energy reserves. Affected also by thermogenic effect (increasing body temperature), which directly translates to reduced fat storage and increase the production of energy from fatty acids. The energy released from fatty acids serves improve overall strength, often using a reduced-calorie diet. Interestingly CLA impedes the formation of new fat cells (adipocytes), and deposition of these fatty acids. Using a systematic 4+ NUTRITION CLA + for a few weeks can be approx. 40% reduction in body fat. CLA also has antioxidant (antioxidant). This can bind and neutralize "free radicals" - strengthens the immune system - increases the body's defenses. In extreme cases, free radicals are like a tour or to accelerate the development of cancer cells - so we take care of their proper fight. Linoleic acid improves the transport of nutrients across cell membranes, which affects the regeneration of the body after intense physical activity. It was found that supplementation with 4+ NUTRITION CLA + influences good skin, makes it more flexible and eliminates the effect of the so-called orange peel . :-called "cellulite" synergistically with both the natural adrenaline and compounds that mimic its effects. NUTRITION 4+ + CLA used regularly may help to obtain a more attractive appearance than usual. This is not another product that only looks good! 4+ NUTRITION CLA + SOURCE OF YOUR HEALTH AND WELL-BEING! 1 once a day 3 capsules preferably during or after a meal. Wash down from 200-300 ml of liquid. Składniki: CLA (sprzężony kwas linolowy); kapsułka: żelatyna; glicerol.